Polaroid colour photograph. Brigid Polk (Brigid Berlin) ca. 1970 - from the factory days. 8,5 x 10,8 cm (3,3 x 4,2 x 0,9 in). Brigid Polk, a close friend and colleague of Andy Warhol was one of the protagonists of the "Factory". 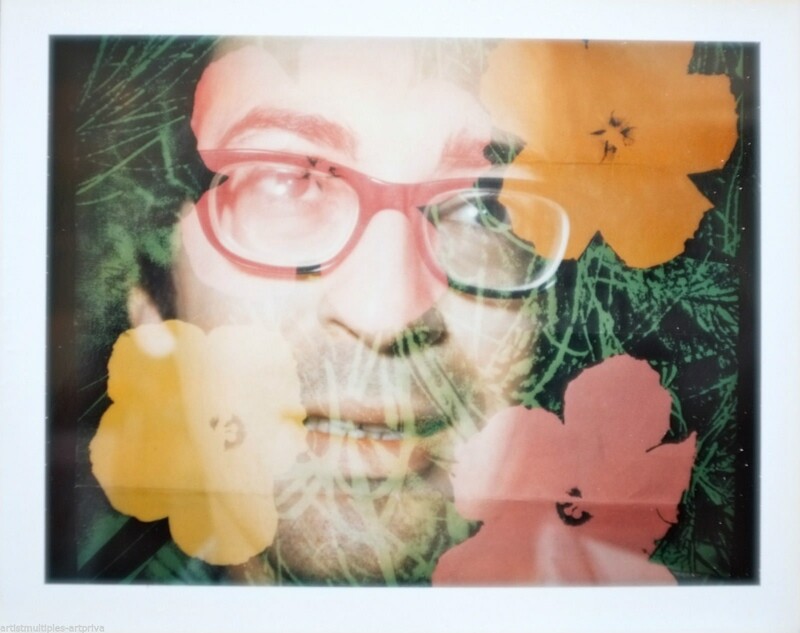 In this work she staged a series of portrait photographs of factory people as spontaneous snapshots, which she combined with Andy Warhol's famous silkscreen motif "Flowers", turning it into a witty contemporary document. Provenance: Brigid Berlin. This is from a collection of 30 different portraits all unique. Some very famous faces among.